With a lineage that can boast the likes of Massive Attack, Portishead, Tricky, Roni Size while giving birth to the C86 movement via labels like The Subway Organisation and Sarah, Bristol's music scene has every right to be proud of its achievements. At the forefront of its current wave is local independent label Howling Owl Records, while bands like The Naturals, Towns, Oliver Wilde and Velcro Hooks have been quietly creating a buzz in their backyard and beyond. 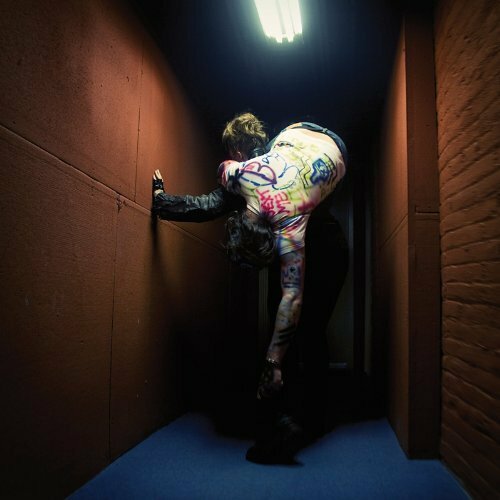 The pick of the bunch are Spectres, a four-piece who by their own admission describe themselves simply as 'We are loud'. That may be something of an understatement; each and every track on the Hunger EP reinforces that statement somewhat, but there's so much more to their make-up than extreme noise terror. Indeed, for a band who've been honing their sound for a good three years now, Hunger feels like the icing on the cake. 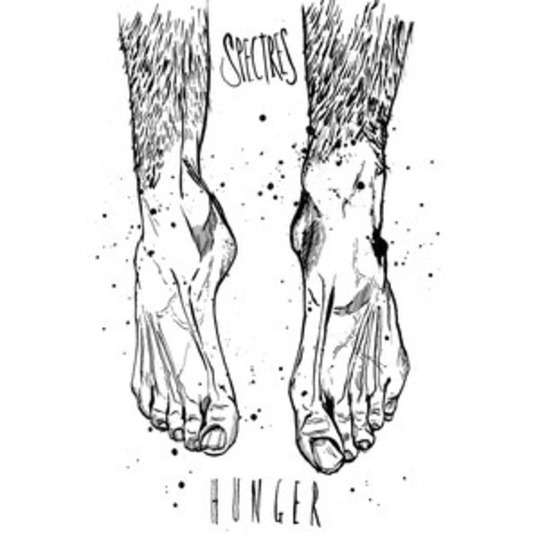 Whereas previous recordings such as last year's Dark Habits EP showed promise, Hunger delivers on every conceivable level. 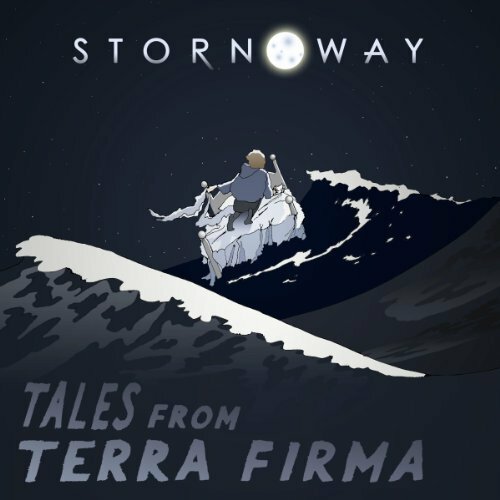 Consisting of four tracks in total - five including the 45-seconds-long introduction piece 'Pull' - there's something brutal brewing in the Avon estuaries if the contents of this record are anything to go by. Lead track 'Rattle The Cage' rides a cautious tightrope between driving claustrophobia and catatonic meltdown. "Do you ever feel the hunger?" asks singing guitarist Joe Hatt, menacingly adding "I shouldn't have to ask but I do" before all hell breaks loose. All the usual ingredients; feedback, fuzzed up reverb and cacophonous distortion combine to create a wall of sound akin to several buildings collapsing, all the while held together by an impenetrably steadfast rhythm section. Yet underneath all the narcissistic rage and tumultuous noise lies a melodic sheen not that dissimilar to the Mary Chain back in their heyday. 'I Was In A Box' then raises the decibels several notches further. Constructed around a forceful, if intrinsically tense guitar riff that slowly builds until one suspects the mixing desk sound levels couldn't go any higher. Hatt and fellow vocalist Darren Frost casually out-menacing each other until what seems like an artillery of heavily distorted guitars engulf the song's final third. Likewise 'Maybe You Shouldn't Be Living Here', the EP's penultimate moment that could be an early Death In Vegas or UNKLE outtake were it not for the visceral sonics concealed within. Conveying a sinister air of intensity until its final breath, 'Threshing Machine' brings Hunger to a pulsating climax. "I just don't see the benefits..." declares Hatt before snarling "JUST TELL ME!" as the song takes off into an aurally induced orbit of its own making. What's most impressive here is that despite sharing an obvious kinship with people like A Place To Bury Strangers, Six By Seven, Mint 400 and to a lesser extent Godflesh, Spectres have managed to carve out an identity of their own. If guitars are supposed to be dead it's probably because Spectres have killed them. Not for the fainthearted, but essential all the same.